On June 1st, we sent 7 ferals and 2 friendlies into PAWS, Charli transported in the AM and Dedra did pickup in the PM. We had three males and 5 females. Both of the two friendly females had already been spayed. In addition, we had Jackson that went to Glen Ellyn Animal Hospital as we already knew of his tail injury. He also needed a dental. So, he was worked on from stem to stern, his tail looks great now, he had 5 teeth removed and of course he was neutered. He is also FIV+ and a very sweet boy as they so often are. Without donated funds, like the "As If They Were Our Own" fundraiser that is just starting, we would not have the money to cover his surgery - we don't know how much for sure the total will be but will probably be around $500 for everything. 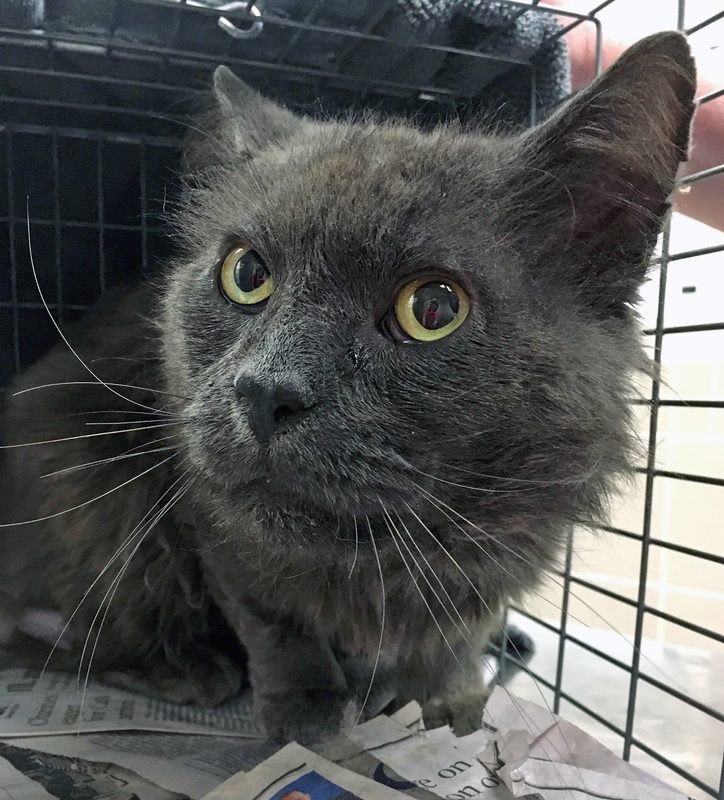 Jackson actually broke into a house - busted in the screen in a window - in order to try to find a home and help. Not the first time we've encountered something like this. We've included information about our constant Backlog of cats and how that happens. Please take the time to read it and get a better picture of what we deal with in addition to just neutering cats. With this trip we have neutered 8 cats in June, 257 for the year and 9,702 since we began!